Once the chicken has been cleaned, fill it with the garlic gloves, thyme, oregano and lemon (introduce from the back part). Tie the chicken legs to it is compact and aromas are kept inside the chicken. Melt the butter in the microwave and cover the chicken with it, add salt and pepper as desired, add olive oil. Preheat oven for 10 minutes at 185º C. When the oven is ready, place and cook the tray with the chicken for 45-50 minutes. 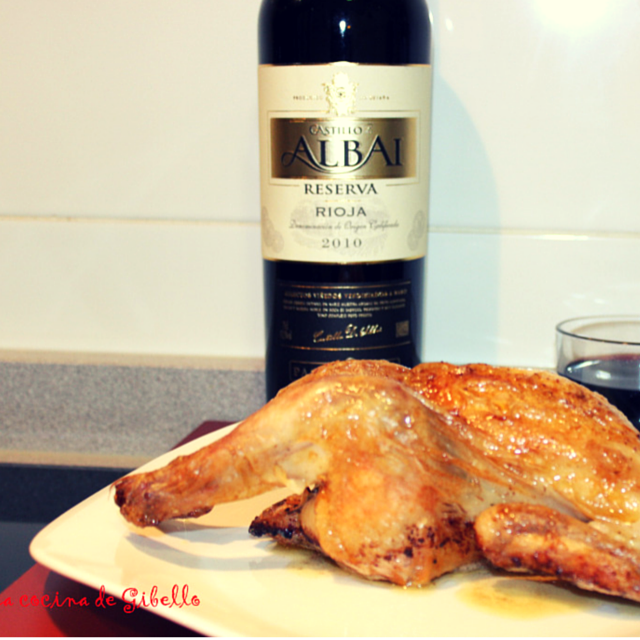 In a very short time and in an easy way, we have a delicious dish to enjoy with Castillo de Albai crianza.